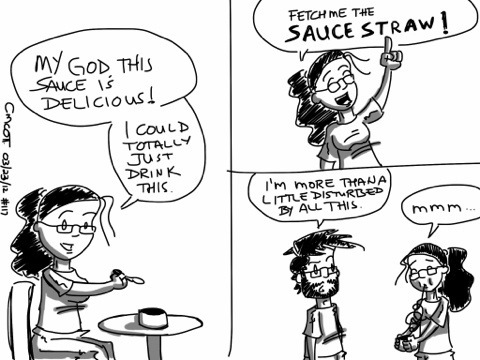 There are many sauces my wife wishes she could simply drink with a straw. Someday, I shall actually get one for her. It should be gold sheathed, possibly with the engraving of “Sauciest Straw in the World”. Hell, I’d buy one.